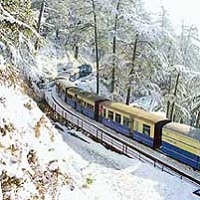 Traveling through train brings back all the nostalgia, but booking a rail ticket brings its gloomy side. All this was enough to urge ANDAMAN BLUE SEA TRAVELS to offer Professional Rail Ticketing Services at competitive prices, to clients widespread. We offer assistance for a Rail Ticketing Services like Sleeper Class Rail Ticketing, Non AC Class Rail Ticketing, Tatkal Rail Ticketing, and AC Class Rail Ticketing, namely. Our professionals also ensure that the clientâ��s information is being ethically used only.